What would a ‘Wine Under $10’ feature be without covering a fabulous vinho verde from Portugal, and in addition to being a good value buy, vinho verde’s are also a refreshing summer option. Vinho Verde, in literal translation, means green wine, but the true meaning here is young wine, and the intent is to consume it, within a year of bottling. For the purposes of today’s review, we’re taking a look at the Quinta Da Aveleda Vinho Verde. Let’s start by saying this is one of my default green wines. If it’s a hot day and I’m in need of the cool comfort a green wine can bring, I will turn to Qunita Da Aveleda, knowing that it won’t disappoint. The feel of quality and care also rings true from the label alone, which is decaled with the family home, front and centre. On colour, this vinho verde shows a pear skin colour, but yet clear and stunning. On the nose, you grab scents of citrus fruit blended with green apple and on the palate, you get that citrus fruit taste blended with slight spice to give you a well rounded finish. 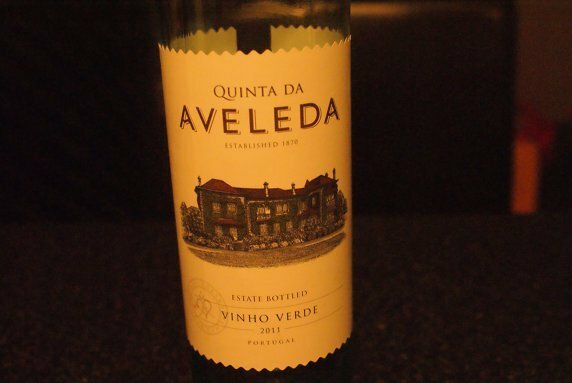 The Quinta Da Aveleda Vinho Verde has been paired many of times on my patio with grilled fish, sausage and light cheeses. It also performs well on its own.